You have seen firework screensavers before, but you have never seen anything like this! Flaredance Firework Screensaver is a Xander Zerge's project. Use xander@zerge.com e-mail address to contact me personally. I will be greatly pleased to find your comments, opinions, ideas or suggestions in my mailbox. My official web site is www.zerge.com. There you will find detailed information about other our products, my team and me. I recommend using our online contact form to contact us quickly if you have any questions, suggestions, criticisms or ideas. The installation executable file size is about 2 MB. 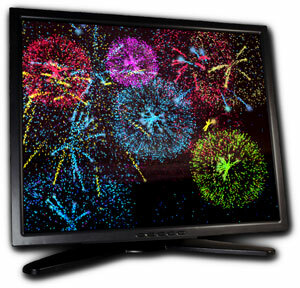 Flaredance Firework Screensaver Trial operates limited time (three weeks) without any functional limitations. We guarantee that our software is free of any viruses, trojans, spyware or adware. Copyright © 2005-2019 ZERGE.COM. All rights reserved.